The entire range of Arbrux Floating Lake Fountains & Accessories all in one book! Lake and Pond Fountain Photo Book. Picking your perfect lake or pond fountain has never been easier! Did you know you can choose the shape of the water spray pattern by selecting from our range of high quality fountain designs? Is your perfect lake fountain a Willow, Tulip, or Iris? You’ll find your favourite when you browse through these beautiful colour photos. Download our free Lake Fountain Photo Book to view our entire range of floating lake / pond fountains and accessories. 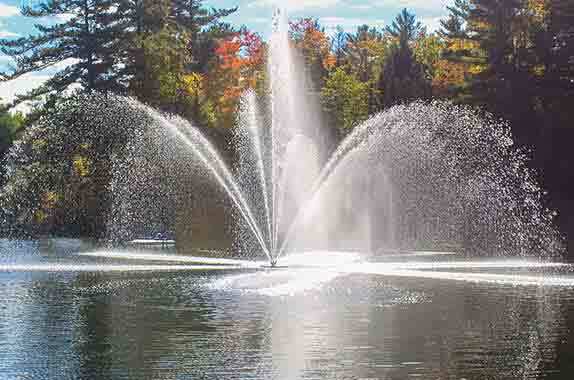 Download our free Lake Fountain Photo Book and pick out your perfect lake fountain today!